Have you discovered the perfect fun, friendly and musical way to start the week for you and your child? Hey Diddle Diddle is a sing-a-long and play session held weekly during term time at Oxford Playhouse. Hey Diddle Diddle runs every Monday morning at 10.30am. Tickets cost £6 (for one adult and 1 pre-school child – £2 for a second adult/child). You can book online or call 01865 305 305 to book your place. Drop ins are welcome if there’s space, but booking is advisable. We can usually accommodate drop ins but can’t guarantee it every week. The fun multi-skill sports class for 2-4 year olds and parents. Many games, parachute, jumping, balancing, coordination skills with balls, hoops, ropes, bean bags, scarves, mats. Lots of fun & running around! Classes based on ‘Kinderturnen’. Book in advance for term. Come and join the fun in the woods next to Wheatley Littleworth Road. Help make the fire, cook bread over the fire, play hide and seek, climb trees, sing with us or just relax. A small, friendly, informal group, we have a variety of toys, craft activities and a sing song or story most weeks. Snack time around 10.30 which is usually toast and water for kids. Tea/coffee available for adults. First time is free, then £1.50 donation (+50p for additional children). ​High Intensity Interval Training workout guaranteed to improve your level of fitness. Babies and toddlers welcome. Toys provided indoors, buggy friendly outdoors. A gentle, low impact class, focussing on rebuilding core strength. Babies welcome. Our experienced volunteers run popular monthly rhymetimes and storytimes for under 5s. Free drop-in. Parking at the health centre on Kennington Road next to library. Drop in for a fun-filled session of rhymes, stories and colouring. Help your baby to communicate – with this FREE ‘sing and sign’ taster session. 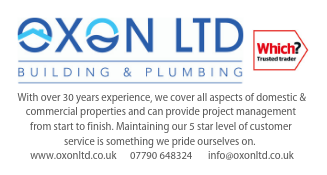 Contact 07795 005832 for more information. Little Sharks is a fun play group for pre-school children and their carers in Headington. Little Stars is a friendly group, open to all carers and parents with their babies and toddlers. Our sessions start with themed crafts, then we have snack time, after which the toys are put away and we have music and puppet time. I run regular sessions for young children and their families where I perform my songs. I have established a very strong following of little people and their parents from all over the world and the parents love the songs just as much as the children. Skate Tots: Fun session for parents and under 5s complete with qualified skating instructor and toys in special area of ice for Tots! Mondays and Fridays 10.00-11.00am (term-time only). Only £1 per skater. Skate School: We offer lessons from our BITA qualified instructors for children 3 years old and upwards. You can learn how to make cool games, animations and websites too! Free but booking essential. For 9-13 year olds. Get creative in our free weekly writing workshops for children. For children 9-11. Mondays and Fridays 9.30-12 (£1.50 suggested donation for those that can afford it). Snack food supplied by Oxford Food Bank. The Story Museum will be there every other Friday! 3rd Saturday of the month 10-1 – outdoor play, messy play, snack time. Drop-in session for families with children with SEN – 3rd Monday of the month 12.30-2.30. Check SOFR Facebook page for details of sessions. Second and fourth Fridays of the month 12.30-2.30. 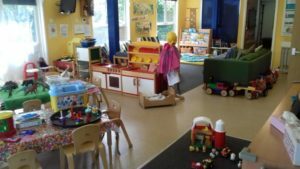 Warm welcome, plenty of toys, crafts, songs and story time for ages 0-4. Also with a simple healthy lunch for those who wish to stay on. 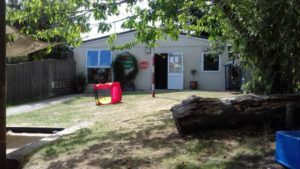 We are a Cutteslowe Community Association and Cutteslowe Primary School joint venture, providing fun groups, activities and support for children under 5 and their families. Sunnymead Minnows is committed to the continuation of free open access Children’s Services in North Oxford, based in the Cutteslowe area, following the closure of the North Oxford Children’s Centre (NOCC). Aquarium Room at Cutteslowe Primary School. Term-time only. A FREE interactive session for expectant parents and under 1s. Term time only. FREE drop-in Stay & Play for under 5s, followed by singing and a hot lunch (small charge for lunch). Operates through the school holidays. A FREE messy and active play session for under 5s. Drop-in session. Term time only. 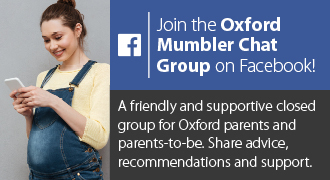 A monthly family group with toys and activities – older siblings welcome. Drop in. A friendly, relaxed volunteer-run outdoor group for 0-6 year olds. Parents, grandparents and carers can have a cup of tea and a chat while little ones explore the garden – sandpit, seasonal fruits, willow structures… We also have the cabin if it’s too soggy to be outside. Also runs in school holidays (but not bank holidays).